This example shows you how to answer a HTTP request using an Ethernet shield. Specifically, it connects to cosm.com, formerly Pachube.com, a free datalogging site. The example requires that you set up a cosm.com account, as well as a cosm feed (for more information on setting up an input feed, please click here). Your Ethernet shield will then connect to that feed and upload sensor data every 10 seconds. 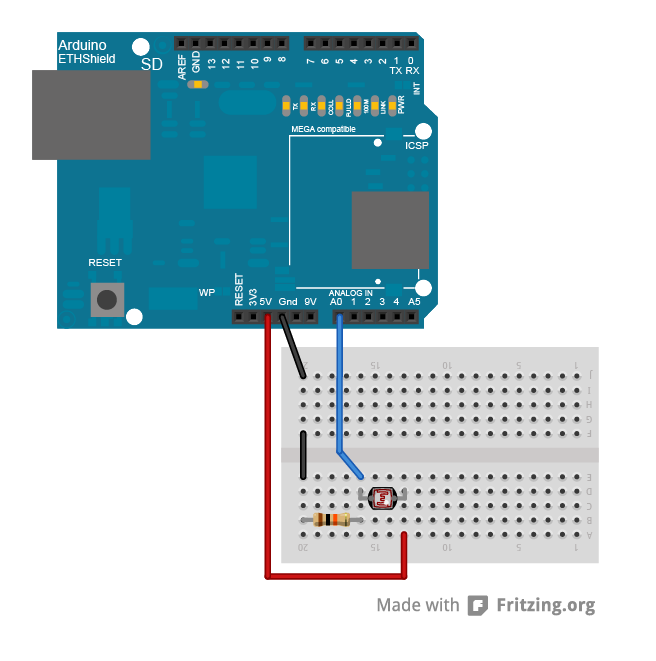 The Ethernet shield allows you to connect a WizNet Ethernet controller to the Arduino via the SPI bus. It uses pins 10, 11, 12, and 13 for the SPI connection to the WizNet. Later models of the Ethernet shield also have an SD Card on board. Digital pin 4 is used to control the slave select pin on the SD card. 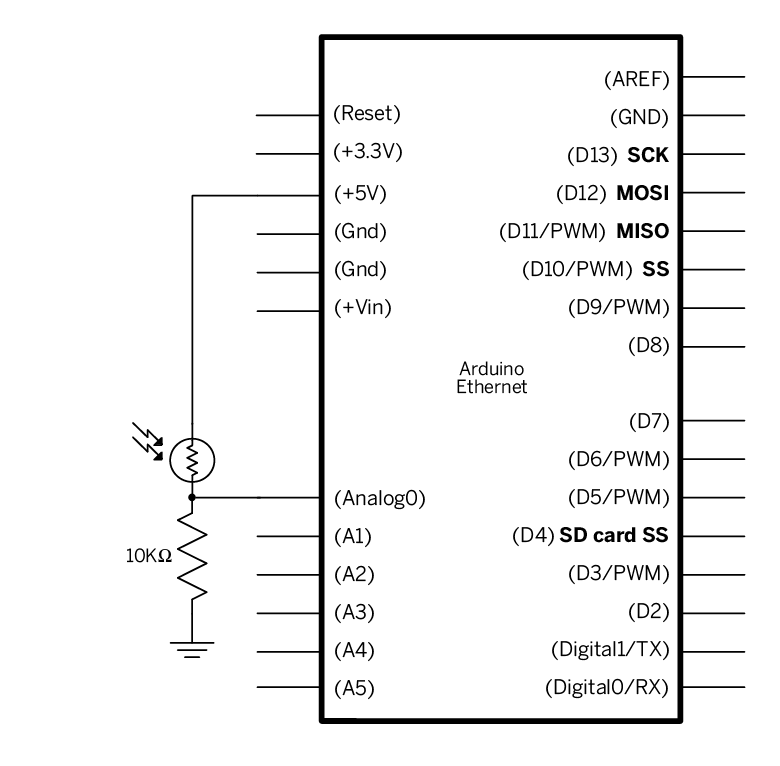 In the above image, your Arduino would be stacked below the Ethernet shield. You could also use an Arduino Ethernet board. Pictured: One CDS photocell with 10k ohm pull down resistor on analog pin 0.